Our first twofer! Chef Michael White, the force behind Marea, Ai Fiori, Osteria Morini, and other modern classics, tells us how he morphed from an offensive tackle from Beloit, Wisconsin, into one of the best practitioners of Italian cuisine in the world. And Philip Tessier, a young veteran of the Thomas Keller Restaurant Group who won a long-coveted silver medal for the United States at the international Bocuse d’Or competition, takes us inside his triumph and talks about his beautiful new book Chasing Bocuse, which tells the story of the competition and the USA’s decades-long road to the podium. 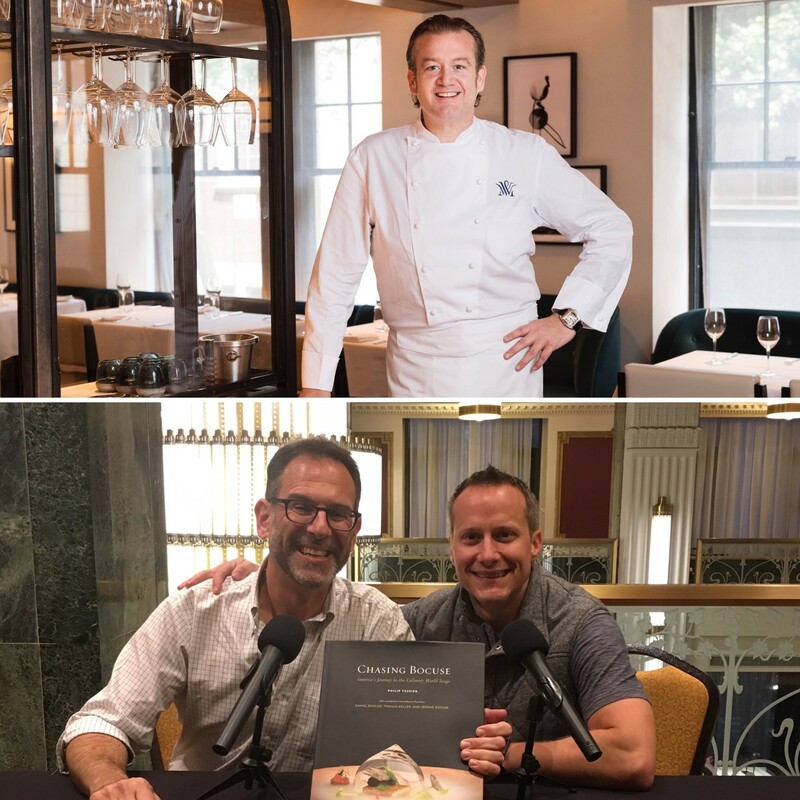 Andrew coauthored Michael’s cookbook Classico e Moderno and wrote his own book about the Bocuse d’Or, Knives at Dawn, so brings his own point of view to both of these interviews. Here’s a thought: If you like what you hear, please tell your chef-fascinated friends, subscribe to Andrew Talks to Chefs (it’s free) on iTunes or Stitcher, follow us on your favorite social media platforms @ChefPodcast, and/or review us on Apple’s podcast store. Thanks for listening!